Some fantastic news I've been sitting on can finally be revealed today. On the heels of its first major festival selection next month Sunscapades will be screening in October as part of the BFI London Film Festival! Not only that, it's in what looks to be one of the most exciting screenings - Real Horrorshow - alongside a mix of animated and live-action shorts that look absolutely fantastic, such as Anna Mantzaris's Good Intentions that, as with Sunscapades, also features music by the excellent Phil Brookes. 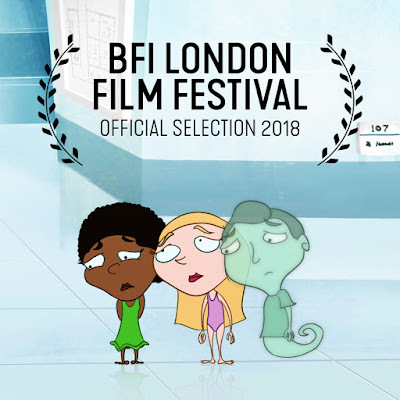 All told the film is in damn good company and, given that it's not an animation-focused festival, I'm incredibly honoured to be among the ones that made the grade, including recent work by Chris Shepherd, Evgenia Golubeva and Peter Millard to name a few. The screening takes place at the Prince Charles Cinema (Downstairs Screen) on Sunday October 14th at 3:30pm, then repeated Thursday October 18th at the Rich Mix Cinema (Screen 1) and tickets go on sale September 13th. I'll definitely aim to be at the Sunday screening so hope to catch you there! 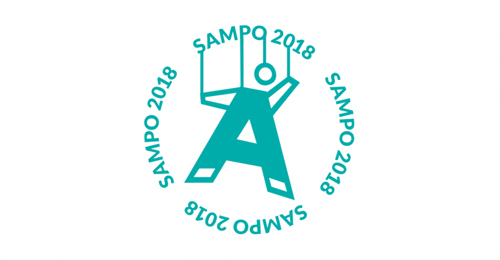 The continuing international adventures of Laura-Beth's Boris-Noris will see it screened in Helsinki for the SAMPO 2018 International Puppet Theatre Festival this coming weekend, again as part of the Bristol Festival of Puppetry's Women in Puppetry and Puppet Animation package that has been doing the rounds to much enthusiasm. The two screenings will take place Friday August 24th and Saturday 25th at the Päivälehti Museum - both of them are free so be sure to get your fine Finnish selves over there. Some bad - but actually good - news regarding the upcoming UK premiere screenings of Chuck Steel: Night of the Trampires at London's Frightfest Festival on the 25th is that individual tickets to both are completely sold out. I have gotten wind however that there may be a few festival passes available from the box office so if you were hoping to check out the film and maybe want to make a weekend of it that option might be up your alley. More info here - however there are only a handful of spaces left so if you grab a pass be sure to check it will actually get you in to what you want to see. If you make it I'll hopefully see you there! Lastly my new film Sunscapades will have its Canadian premiere on the same day as part of Toronto's Lost Episode Fest. As with the film's inclusion in the BUT Festival this event is one I'm very happy to be part of as it celebrates a specific subsection of indie genre films that makes it something of a spiritual fit. I believe the film will screen as part of the animation block Not For Kids which kicks off 10:55pm August 25th at the Carlton Cinema. Tickets and more specific info here. I wasn't expecting to write this so soon but I can cheerily confirm there's another upcoming festival for my new film Sunscapades! 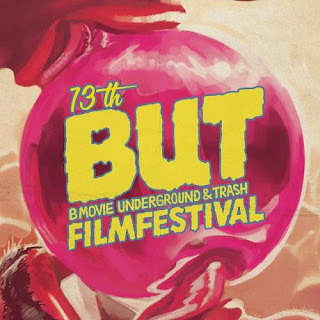 Following on from this week's earlier news nugget that it will screen at Encounters late September, before then the film will get two screenings at the BUT (B-Movies, Underground and Trash) Film Festival that will take place in the Netherlands - Breda, to be precise. Sunscapades is part of Shorts Block 1 - Over the Top Humor on August 30th 7pm at the Chassé Cinema, repeated on September 2nd 12pm at the Nieuwe Veste in Hall 4. You can grab up some tickets here. What's especially cool about this news is that, as with Encounters, this is a festival that has screened my work in the past. In fact it was one of the very first events to take a punt on my films, screening my student film House Guest (with whom Sunscapades does share a certain B-Movie/Underground/Trash vibe, I'd be happy to concede) way back in 2009. It's good to be back in BUT country. I'm very happy to reveal that my film Sunscapades will screen here in Bristol next month as part of TWO programmes for this year's Encounters Short Film Festival! It's the first time I've had a film in the fest since 2011 and it's a real honour and privilege to be among a line-up that includes some of my favourite new and established filmmakers whose work includes Wildebeest (Nicolas Keppens), Cabin Pressure (Matthew Lee), Perinatal Positivity (Emma Lazenby) and Brexicuted (Chris Shepherd). The full line-up looks fantastic, with some personal favourites including Ooze (Kilian Vilim), Via (Izzy Burton), KUAP (Nils Hedinger), Travelogue Tel Aviv (Samuel Patthey), Mamoon (Ben Steer) and Hybrids (Kim Tailhades) as well as recent interviewees Robert Löbel (Island) and Patrick Bouchard (The Subject). 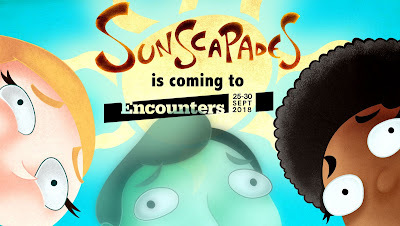 Sunscapades will screen in the festival's animation competition programme Happy Sad on Wednesday September 26th at 2pm, then again the following day in the comedy programme From the Sublime to the Ridiculous at 8pm, both at Bristol's Watershed in Cinema 1. Check out the current programme here and stay tuned for even more event updates as they come! 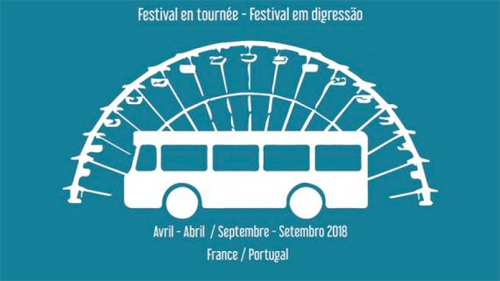 More specific info can be found at the tour's official website.